The spookiest time of year is upon us. Skeletons and spider webs adorn neighborhood porches, Halloween themed music blares across department store loudspeakers, and you have seen Mike Meyers’ white face mask flash across your TV screen more times than you can count. The creepy atmosphere can make even the bravest soul consider looking over their shoulder as they take out their garbage on a dimly lit street. But before you start checking under the bed for Freddy Krueger, there is something even more frightening that you, as a professional, should be thinking about… the security of your customers’ personal information. The mismanagement of your customers’ personal data online could mean the death of your business, and no one wants the grim reaper knocking on the door to their financial livelihood. In fact, 60% of small companies go out of business within six months of a cyber attack! More importantly, your clients don’t want to have to climb through a sea of bloody red tape in order to make an online purchase or rectify a pressing customer service issue. This, my frightened friends, is why safety measures must be put in place without compromising convenience. If your company representatives exchange any type of personal information with customers online, then you need to implement a live chat and/or email software via your website that offers secure forms. What does all of this mean? Let me explain. The horrifying reality is that online data breaches are becoming more and more common. Not even consumers of corporate giants like Target and Equifax are safe. In 2013, Target shoppers’ credit and debit card numbers, expiration dates and CVVs were cyber-jacked by internet thieves. Just last year, close to half of the country had their social security numbers and birthdates stolen from Equifax’s customer database in one of the worst data breaches of all time. The hackers also made away with 200,000 users’ credit card numbers. Alike, even social media is becoming an entry point for the ever-persistent data pirate. Just last month, Facebook revealed that the personal information of 30 million users had been compromised, including members’ names, emails and phone numbers. 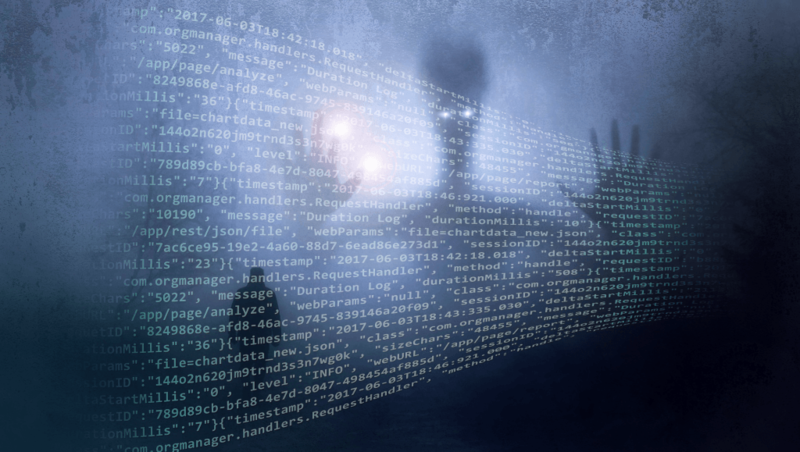 So, what can your company do to make sure that it’s not the next entity to be stalked by the data-harvesting boogie man… all the while keeping open communication with your clients simple, fast and fear free? The answer is secure forms. Secure forms are online, digital forms that serve as a safe means to privately collect and exchange sensitive data with your clients. In order to provide or perform certain services, most businesses need to gather confidential information from their customers, whether it be credit card numbers, health records, forms of identification (i.e. social security numbers and driver’s license numbers), financial applications or even job applications. With the introduction of secure forms, the transfer of this type of information can be accomplished quickly, easily and without reservation. Once the confidential data is submitted to the recipient, the information disappears after it is viewed (similar to the way direct Snapchat messages disappear after opening). Think about it… what could be more secure than information you can’t see? It’s reasonable to assume that you value the customers you have and that you hope to gain more supporters as your business matures. However, your customers’ loyalty will prove difficult to attain if you do not offer a quick yet, pain-free experience. The proof is in the numbers. According to Salesforce, 74% of people are likely to switch brands if they find the purchasing process too difficult. The days of paper applications and handwritten data sheets are coming to an end, and the digital age of immediate results and excessively prompt responses has begun. In-person informational transactions are less necessary and less desired than ever before. The reason? Advancing technology has trained the majority of the population to anticipate instant gratification from minimal effort. According to a study by Forrester, 66% of adults feel that valuing their time is the most important thing a company can do to provide them with a good online customer experience. Consumers want to feel safe, but they also want to be served with speed and convenience. By offering secure forms via live chat or email communication, you can deliver both. Live chat and email correspondence are two of the most popular ways that you can serve and interact with your customers. The live chat phenomenon, in particular, shows no signs of slowing down. Recent studies show that online chat is the preferred support channel of Millennials. However, both chat support and email support involve clear text communication, which makes the exchange of personal information via these avenues vulnerable to hackers. It also poses potential legal issues and a liability for your business because these channels are not typically HIPPA or Payment Card Industry (PCI) compliant. Fortunately, chat software company, LiveHelpNow, has developed a game-changing solution for those seeking asylum from the threat of data breaches. The tech giant has swooped in as a real-life protagonist in the battle against ghoulish hackers, and announced the introduction of secure forms to their chat support and email helpdesk suites. This innovative feature is designed to ensure that data is distributed through non-centralized pathways during transit, and because the forms are quickly purged, you will be assured the information you send and receive goes unexposed to predators. The even better news is that their product will give your company the capability to collect, categorize, and mine the information your customers provide, so you can offer a more personalized service during their next interaction with you. So What Should Your Next Steps Be? Do some research to find the data sharing option that best fits your company’s needs. However, there is no question that the most innovative solution to date has been the introduction of secure forms to LiveHelpNow’s software suites. Their secure online platform supports the marketing and regulatory requirements that you need to responsibly manage your clients financial, medical, and/or personal information. We at here at HelpSquad believe in its effectiveness so much that we use it ourselves. It’s no secret that the internet can be a dark and dangerous place, especially when it is being used to submit personal information in exchange for a good or a service. But, if you follow our advice, you’ll have no reason to be spooked and haunted by data breaches. With secure forms, you’ll leave hackers boo-ing all the way back to the digital graveyard.